I'm really excited for this, although still slightly worried about some of the stuff in Season 2. I especially hope they address the Miss Martian stuff because the way the show softballed her actions in that season was legit disturbing. Are those rolling bug aliens anyone we know? I THINK it's a new take on Forager, the New Gods insect guy. Yeah, I definitely caught that, and we know there’s at least one former Tetramand Green Lantern, but I was wondering if there was a canonical DC race. They represented. That seems such a strange take on the character. His whole deal is he's a New God of the Orion/Mr. Miracle/Forever People type, raised by Bugs. Making him an actual Bug is like doing a version of Tarzan that's an ape. Maybe he'll turn ourt to be another species in a prosthetic Forager bug-suit? Apparently seven episodes are currently completed and Outsiders is mostly what the writers had originally planned. Also, should there be a 'SDCC news' post? Some other stuff...some surprising stuff...was announced today. I'd be sort of loathe to have one of those, because there has been so MUCH information leaked I'd worry that someone would get spoiled about something unexpectedly whilst casually scrolling down. If it's comics related it can have it's own post. Are we sure that's Damian? 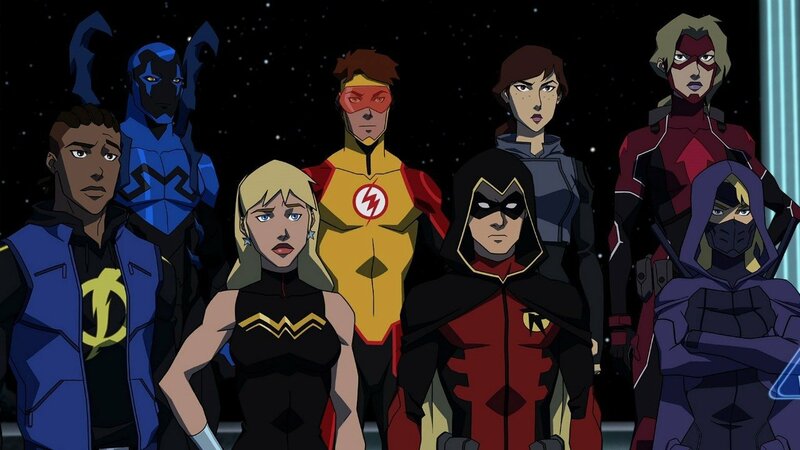 I was under the impression that Tim was still Robin since the team will consist of Cassie, Bart, Jaime, Virgil, and new additions Traci and Cissie, Tim's contemporaries. 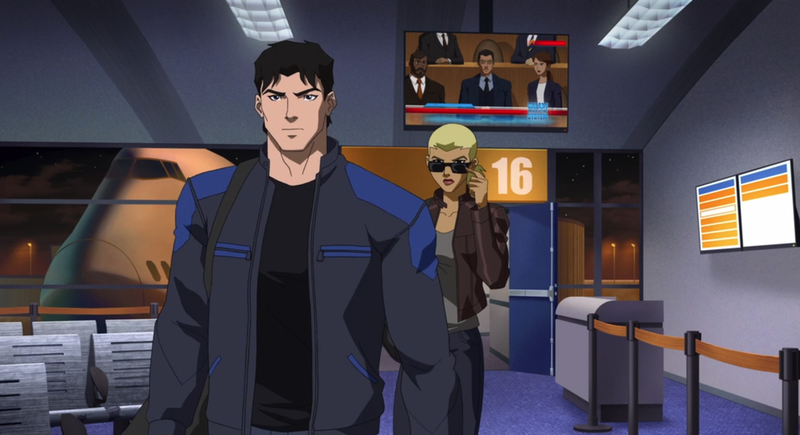 Of course just when the show gets a line up of characters that somewhat resembles the comic YJ, the focus will shift towards the Outsiders. We saw Tim in Season 2, and he didn't use a hood, Damian is the only Robin to do that, so I was thkning it was him. It's a small costume change. 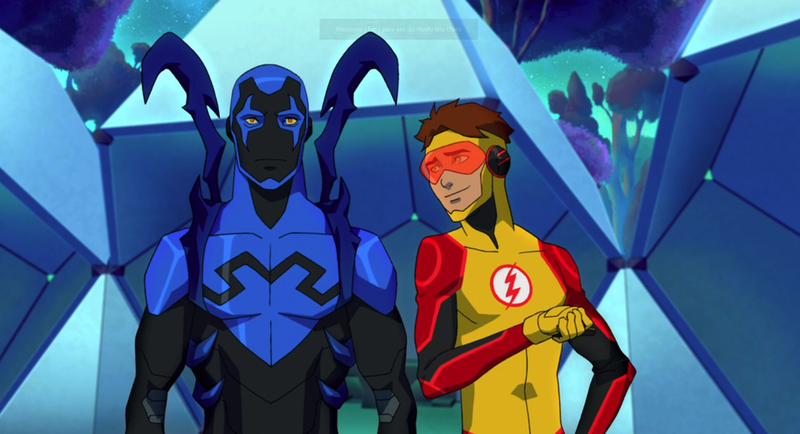 Like how Bart's Kid Flash costume is now different from Wally's even though it was literally the same costume at the end of season 2. There's been a 2 year time skip. He's slightly taller than Cassie and Stephanie. Tim has also worn as hood as Robin in the Arkham games. He showed up in Season 2, I supposed we're stuck with him. 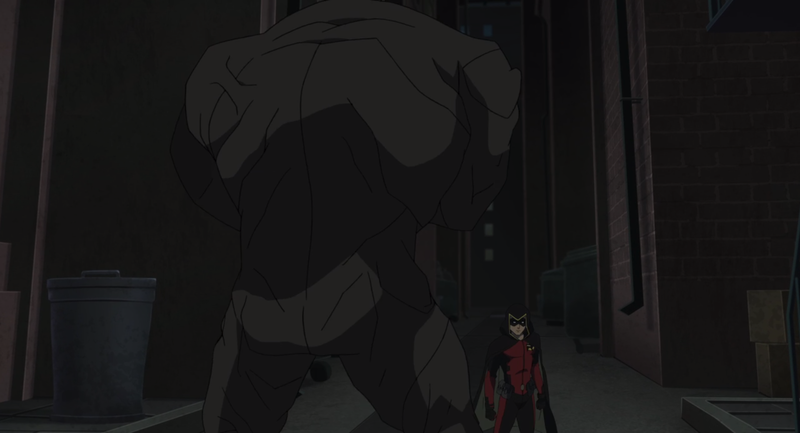 What's so great about Young Justice in general is how it ages with the fanbase. We were all younger when the heroes were novices in season 1, we had experience with them as they grew a bit in season 2, and now that they're becoming adults and making way for a new generation in season 3, we can relate. So excited! Wait, was that Inertia? Can't say I expected him. I hadn't thought of Inertia. A distinct possibility, but that costume reminds me of someone else, but I can't think who and it's bugging me, I had thought of one of the New Blood, but it seems not.